I'm pretty offended people want pats on heads in the first place. I've had heated arguments over the merits or demerits of things, be they book, game film or TV, and what I hate hearing is "If you have nothing good to say, don't say anything since it might insult other people". This is as if my opinion about something they like insults them personally! I don't mind disagreements, and absolutely want to know why someone else thinks X is the best thing since sliced bread (sometimes admittedly only to question it; or question why I didn't think that way), but saying "You can't say anything bad since it is your opinion la la la la la la" is rubbish, especially if it is an actual review published explicitly as a obvious opinion. I absolutely want the raw deal, the niggling features, the bugs and crashes, the "It might only be me but" parts. These are what make a game go from playable to unplayable in a matter of minutes; or in fact might be the charm or if are not that bad, not detract from the gameplay but are still worth noting. "The comments also open up the question, once again, of what a game review is supposed to be." A game review is supposed to be your impressions of a title, wrapped in the context of your gaming history. Too often reviewers get obsessed with scores, but frankly scores on reviews are beside the point, and are a negative influence on the industry rather than anything helpful. Tell me what a game made me think, how it made you feel, what you liked, and what you disliked and that's all the review I'll ever need. Oddly enough, all of my early complaints with this game melted away by the 8 hour mark or so. Personally, I'd say the combat is second only to Bayonetta and DMC4, but miles ahead of GoW where you couldn't even break a combo to dodge. The light and dark magic did wonders too. I loved how the focus meter discouraged mashing. Andrew, I wish everybody thought like you do! Are you reviewing it, Jeffrey? Would love to read it. That's another question: if it takes eight hours to get to where you no longer have any complaints, what does that really mean? A lot of people complained that FFXIII took way to long to pick up, but I enjoyed it the whole time. And I think of a game like Far Cry 2, where I did have to put a good 4-5 hours into before I really started to get it, but it kept my interest long enough for it to happen. Here, I dunno, I felt constantly put off. Sadly, I'm not reviewing it anywhere. I just played this one for fun (and yes, I'll admit my bias that I spent $60 on it and thus really wanted to like it). I may have overemphasized the slow burn. I actually did enjoy the first 8 hours, even if they weren't as good as I was expecting. 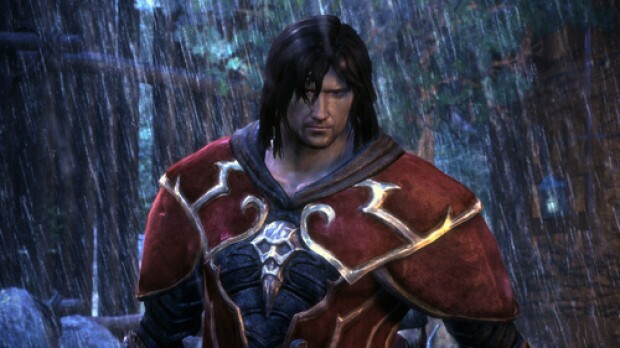 It just felt like a GoW clone with a Castlevania aesthetic, which isn't bad per se, just not what I was looking for. I'd argue that LoS follows the Liz Lemon school of dating by getting all the weird stuff out of the way first. Your head's too small, the camera isn't the best for exploration, and I too had the problem Ben had where I'd accidentally go the right way before I could collect my reward (though a "restart at checkpoint" option helps with that). None of these things get better, but I stopped wishing for the game it was, accepted these flaws, then noticed all the interesting things it does right. I think pacing is one of its strong suits (after the slog that is chapter 2). I felt like I never had any idea where the game was going to take me. Bosses, puzzles and titans are not evenly paced, which I respected since it left a genuine sense of surprise when I got to them. On that note, I even grew to like the segmented levels separated by a loading screen since it too left a sense of surprise when I'd boot up the next level to see what it was like. Both that and the prerendered camera grew on me and reminded me more of a 2D game in many ways where you're only able to explore what the designers intended. If you hated the beginning as much as you and Ben seemed to then I'm not confident the rest would change your mind. You'd probably agree if gets better, but "better" might not be enough for you. Though if you found it at least somewhat enjoyable but simply uninspired, I think it's worth sticking with as it gradually builds its own identity.